Sometimes recipes come off really easily, without a hitch. Other times they take lots of tweaking and planning. This is a rare case of a recipe that came out relatively easily, but was full of so much fascinating science that I ended up devoting a few extra days to it anyway. It ended up yielding an explanation of a technique that I'm going to be incorporating into countless recipes going forward. That's my favorite kind of recipe: one that delivers on deliciousness right now, and even more deliciousness in the future. * If you impatient types wanna cut to the fun, science-y part, skip down to where I talk about The Science of Garlic Flavor, and see what it's all about. Just promise you'll come back and read up on the rest, okay? Hummus is Levantine and Egyptian in origin, but the puréed mixture of chickpeas and sesame has been eaten all over the Middle East, the Mediterranean, and North Africa for centuries. Its flavor and relative ratio of ingredients vary wildly from region to region, but today I'm focusing on the Israeli version familiar in the US, which is made with tons of tahini and a touch of cumin. The problem is, it's hard to find a perfect batch. Store-bought hummus typically has a great, ultra-smooth and -creamy texture, but it lacks flavor and is not easily customizable to our own personal tastes. Homemade hummus, especially when made with dried chickpeas, may have amazing flavor that we can play with any way we like, but it's quite difficult to get it as smooth as the store-bought stuff. So what if you want hummus that is smooth and flavorful? The other day in my post on roasted eggplant with lentils and tahini, I mentioned that the method of making tahini sauce in Michael Solomonov's Zahav is the best technique I've ever tried, and it works wonders for hummus as well. While tahini may play only a small role in the hummus of, say, Lebanon or Greece, in Israel it stands on equal footing with the chickpeas. Some recipes call for a ratio of almost 1:1, which means that great Israeli-style hummus must start with great tahini sauce. To make Solomonov's version, you start by putting whole, unpeeled garlic cloves—a whole head's worth of them—in a blender with a good amount of lemon juice and blending it to a pulpy purée. You then press the liquid through a fine-mesh strainer into a bowl. The first time I tried this, I was convinced that it was going to be incredibly, inedibly pungent and sharp. A whole head of raw garlic was in that bowl, after all! To my surprise, I smelled the liquid and tasted it and found that, while it had a powerful, sweet garlic aroma, it had none of the harshness or raw, hot garlic bite you'd expect. Clearly this was something that was going to need further investigating, but for the time being, I moved on, promising that I'd come back to it later. Finishing the tahini sauce is as simple as adding some ground cumin and store-bought tahini—sesame paste is one of those things that are simply easier and better to get store-bought than to try grinding at home—and thinning it out with water. Tahini behaves in an interesting way when you add liquids to it. Out of the jar, it's pretty soft and flowing. As you add a little water or lemon juice, it'll first seize up and turn thick like cement. Continue adding water, and it'll eventually thin out into a pourable sauce. Whisking thoroughly between small additions of water ensures that the sauce is smooth, light, and lump-free. Time to address the chickpeas. I started by tackling the obvious first question: Are dried chickpeas really better than canned? A couple of quick blind tastings gave me an answer. The bland, tinny flavor of canned chickpeas can't compare to the full flavor of chickpeas that are cooked from dry before blending. But carefully rinsing canned chickpeas to remove excess liquid (it's the liquid that's the biggest culprit in that canned flavor), then simmering them for about an hour in fresh water with some aromatics, can work wonders, so, in a pinch, there are ways to make canned chickpeas better. To cook my chickpeas, I tried a few methods, including soaking versus not (soaking overnight is a good idea if you remember to do it, but you can cook un-soaked dried chickpeas without a problem if you're willing to simmer them for an extra hour or so); adding baking soda to the soaking and cooking water (this raises the pH, which helps the chickpeas break down and soften more easily); and cooking them on the stovetop versus in the >pressure cooker (the latter is great for speed-cooking, but it will also deepen the color a little, giving you a darker hummus). I finally settled on soaking the chickpeas overnight with a little baking soda and cooking them in fresh water on the stovetop, with onions, carrots, celery, garlic, bay leaf, and some more baking soda, until tender. I then drained them, reserving a little cooking liquid to adjust the texture of the hummus. Do You Need to Peel Dried Chickpeas for Hummus? Read enough recipes for hummus, and you'll start to note that those promising extra-smooth texture all have one thing in common: peeling the chickpeas before blending. Even our own Josh Bousel agreed in his recipe, finding that the tough skins were responsible for most of the lumps in lumpy hummus. So I dutifully peeled an entire batch of chickpeas before puréeing them (...34...35...36...finally got one bite's worth of chickpeas done!) and had some friends come over and taste them, side by side with a batch of hummus made from unpeeled chickpeas. Yup, definitely smoother and lighter in texture. But let's be honest: Who the heck wants to peel that many chickpeas one at a time? There's a much easier way to do it, for the record. Once you've cooked your chickpeas, transfer them to a bowl of cold water and massage them firmly between your hands. The skins should mostly slip off and start to float above the chickpeas, making them relatively easy to scoop out and dump in the compost. Still, not having to peel them at all would be easier. It occurred to me that I might be letting my typical cook's instincts get the better of me in this situation. I'd been cooking the chickpeas until they were perfectly creamy and intact—the way I'd want them if I were serving them whole. But in this case, what if I just went all out and cooked the s$%& out of them? I tried it, cooking the chickpeas until they were literally falling apart—skins, flesh, and all. Bingo. Blending those chickpeas in the food processor turned out a hummus that was as smooth as store-bought. I was happy with my results and all set to publish my recipe, when my buddy Chef John Fraser dropped a brand-new technique on me. I was having dinner at his new place, Nix (which, for the record, is the best vegetarian/vegan restaurant I've ever been to), and was amazed at how incredibly smooth his hummus was. Compared to his, mine felt like the sludge water in the bottom of a Death Star detention-level trash compactor. I asked him how he got it so darn smooth. "We do it in the blender," he told me. 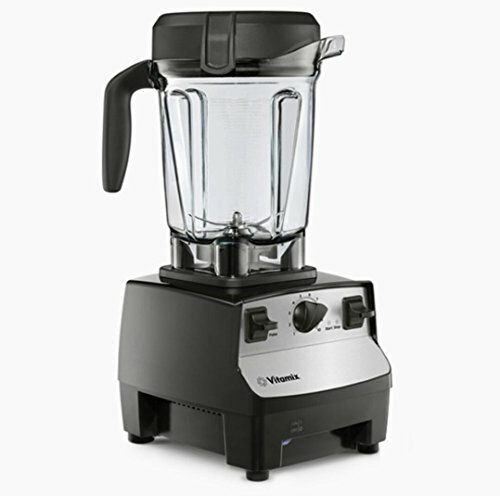 Because of their vortex action and high-power, low-torque blade motion, blenders can purée foods much more efficiently than a food processor can. The problem is that they don't work very well for pasty, viscous things like hummus; the hummus sticks to the side of the blender jar and never really comes in contact with the blade. So what was John's secret? It seems so obvious in retrospect. Starchy, viscous liquids get firmer as they cool. Up to this point, I'd been cooking my chickpeas and cooling them before adding them to the food processor. Transferring them to a regular blender straight from the pot, along with plenty of their cooking liquid, makes it easy to blend them into a thick, smooth paste with the texture of a milkshake. I actually ended up taking another piece of John's advice: adding some of the mirepoix in his cooking liquid to the blender along with the chickpeas. A little extra carrot and garlic in the blender add depth of flavor without taking away from the chickpeas. Once the chickpeas are blended, I whisk in my tahini and season to taste with salt, cumin, and olive oil. The hummus is then ready to be chilled and served. I like serving it at just about room temperature, drizzled with olive oil, dusted with paprika or za'atar, and piled with some warm chickpeas or chopped parsley. One thing was still bugging me: that garlic. How was it that I was adding a whole head of garlic, but getting only aroma, without any of the hot, pungent garlic flavor I'd expect? I'm the kind of guy who likes to know where his sausage is coming from, which means that I really wanted to get to the bottom of this garlic mystery, but I wasn't sure where to start. The answer came to me while I was trying to streamline the recipe. The hummus was fantastic—smooth and flavorful—but I thought to myself, If I'm going to be puréeing my chickpeas anyway, why bother making the tahini paste separately? Can't I just dump everything in the blender and hit go? I tried it out, placing the cooked chickpeas with their liquid, tahini, cumin, lemon juice, salt, and peeled garlic cloves into the blender, all at once. I tasted the new batch and nearly had to spit it out: The sharp, hot garlic flavor was overwhelming. It tasted just like you'd expect five cups of hummus with a full head of garlic in it to taste. What the heck? How could this batch, which used the exact same ingredients as the previous batch, taste so darn different? I knew that the hot flavors in garlic develop when the enzyme alliinase converts a mild compound called alliin into a more pungent one called allicin, and I also knew that this reaction doesn't take place until the garlic is sliced open and cells are ruptured. It's for this reason that you can drastically alter the flavor of garlic just by cutting it in different ways. But in my hummus, the garlic was getting fully puréed either way, so what was up? I set up a little experiment to see if I could figure out what was at the root of the issue. I theorized that the difference in flavor might be attributable to two factors: the pH of the liquid that the garlic is puréed in (perhaps it's essential to first purée the garlic in a very acidic environment before diluting it down), or whether or not the garlic is peeled before puréeing. I then let them sit in containers for five minutes (in order to allow time for any enzymatic reactions to take place), then smelled and tasted them. From aroma alone, it seemed like peeling versus not peeling was at least part of the answer: The batches of garlic cloves that were peeled had a stronger garlic aroma than those that weren't. But tasting them told a very different story. While the batches of garlic puréed in lemon juice and vinegar had a very mild flavor, the ones puréed in water were so hot that they burned the back of my throat as I tried to swallow them. It's definitely the acidity in the lemon juice and vinegar that prevents the garlic from turning hot. Turns out alliinase is highly active at a neutral pH, with peak activity at a very slightly acidic pH of 6.5. As you get more and more acidic, its activity drops off precipitously. Lemon juice has a pH of just around 2. The study's data goes down only to a pH of 3, but extrapolating that graph, we can guess that at pH 2, allicin's activity is reduced to a quarter or less of its peak activity. That's what keeps garlic from becoming too harsh. Once enzymatic activity has stabilized, you can then incorporate that garlicky-but-not-harsh lemon juice mixture into your tahini sauce and hummus without fear. I've since used the garlic-in-lemon trick in a number of applications, ranging from baba ganoush to a vinaigrette for some simple roasted cauliflower. Any time you have lemon and garlic in a recipe, it's good to consider whether or not you might gain some advantage by upping the garlic flavor without upping its harshness. This is my favorite kind of recipe: one that tastes great, but also teaches you an entirely new technique that has applications well beyond the scope of the original recipe.